Patients will think of you each time they apply or store their contacts. 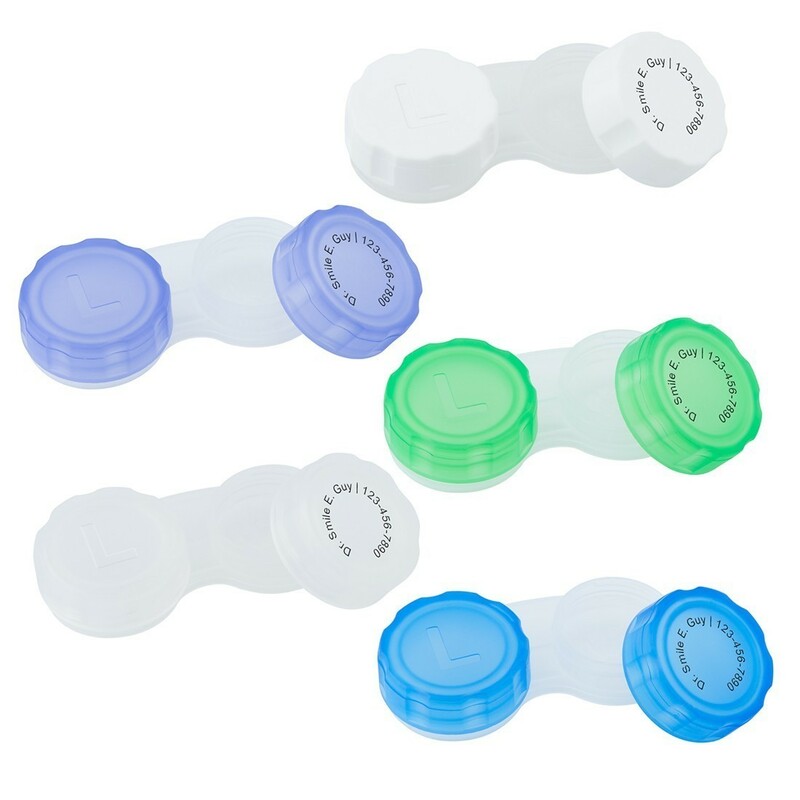 Contact lens cases feature large wells with ribs for fast, easy lens removal. The base is a clear ice color. Imprint area is 3/4" x 3/4". Choose from these available product colors: Clear, Purple, Green, White. Choose from any of our stock logos or add your own for free!